Last week in An Anti-Cancer Diet (Sep 28, 2011), I recommended that cancer patients eat 400 to 600 carb calories per day, but combine it with a program of daily intermittent fasting plus longer “ketogenic fasts” and periods of ketogenic dieting or low-protein dieting to promote autophagy. The recommendation to eat some carbohydrates, plus my statement that it was possible for cancer patients to develop a “glucose deficiency” which might promote metastasis and the cancer phenotype, seems to have stirred a bit of a fuss. Working on an epic blog post today about @pauljaminet and his “safe starches” concept. 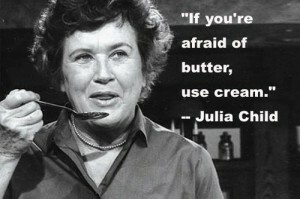 Input from numerous #Paleo and #lowcarb peeps. Should be fun to hash all this out publicly for ALL of us to understand better about your concepts. Here’s to education. So far, I have seen responses from Dr. Kurt Harris and Dr. Ron Rosedale. On PaleoHacks, there is an extensive discussion on a thread started by Meredith. UPDATE: Jimmy’s post is up: Is There Any Such Thing as “Safe Starches” on a Low-Carb Diet?. I think this discussion is wonderful. With so many people putting effort into this, I have an obligation to respond. I’ll start with Kurt’s perspective today, then Ron Rosedale’s early next week, then whoever else participates in Jimmy’s epic post. My arguments are based more on ethnography and anthropology than some of Paul’s theorizing, but I arrive at pretty much the same place that he does. We are a highly adaptable species. It is not plausible that carbohydrates as a class of macronutrient are toxic. I think that if there is no urgency about generating ATP then fatty acid oxidation is slightly preferable to glucose burning. But essentially, I share Kurt’s point of view. Our ancestors must have been well adapted to consuming high-carb diets, and necessity surely thrust such diets upon some of our ancestors. Certainly there’s no reason why consuming starch per se should be toxic. These starchy plant organs or vegetables are like night and day compared to most cereal grains, particularly wheat. One can eat more than half of calories from these safe starches without the risk of disease from phytates and mineral deficiencies one would have from relying on grains. White rice is kind of a special case. It lacks the nutrients of root vegetables and starchy fruits like plantain and banana, but is good in reasonable quantities as it is a very benign grain that is easy to digest and gluten free. I view most non-starchy fruit with indifference. In reasonable quantities it is fine but it won’t save your life either. I like citrus now and then myself, especially grapefruit. But better to rely on starchy vegetables for carbohydrate intake than fruit. I personally eat around 30% carbohydrate now and have not gained an ounce from when I ate 10-15% (and I have eaten as high as 40% for over a year also with zero fat gain) If anything I think even wider ranges of carbohydrate intake are healthy. One can probably eat well over 50% of calories from starchy plant organs as long as the animal foods you eat are of high quality and micronutrient content. I think being slightly low-carb, in the sense of eating slightly below the glucose share of energy utilization which I estimate at about 30% of energy, is optimal. However, I think we are metabolically flexible enough that a very broad range of carb intake may be nearly as good. I would consider 10% a minimal but healthy intake of carbs, and 50% a higher-than-optimal, but still healthy, intake so long as the carbs are “safe” and the diet is nourishing. Kurt mentions that his ideas are more derived from ethnography and anthropology than mine. I give great weight to evolutionary selection as an indicator of the optimal diet, and am friendly to ethnographic and anthropological arguments. If I don’t give tremendous weight to such arguments, it’s because I think some other lines of argument give us finer evidence about the optimal diet. The top graph shows plant food consumption by calories, the bottom graph animal+fish consumption by calories. The numbers are how many of 229 hunter-gatherer societies ate in that range. Typically, hunter-gatherers got 30% of calories from plant foods and 70% of calories from animal foods. I think the Cordain et al data supports my argument that obtaining 20% to 30% of calories from carbs is probably optimal. However, it’s hardly decisive. There is considerable variability, mainly in response to food availability in the local environment. Inuits, who had few edible plants available, ate hardly any plant foods; tropical tribes with ready access to starchy plants, fruits, and fatty nuts sometimes obtained a majority of calories from plants. Hunter-gatherer diets, therefore, are a compromise between the diet that is healthy and the diet that is easy to obtain. A skeptic could argue that hunter-gatherers routinely ate a flawed diet because some type of food was routinely easier to obtain than others, and thus systematically biased the diet. I believe evidence from breast milk is both more precise about what diet is optimal, and much harder for skeptics to refute. Breast milk composition is nearly the same in all humans worldwide, and it has been definitely selected to provide optimal nutrition to infants. So breast milk, I think, gives us a much clearer indication of the optimal human diet than hunter-gatherer diets. It is an evolutionary indicator of the optimal diet, but it is not ethnographic or anthropological. There are other evolutionary indicators of the optimal diet — mammalian diets, for instance, and the evolutionary imperative to function well during a famine — which, as readers of our book, we also use to determine the Perfect Health Diet. So, while I think ethnographic and anthropological findings give us important clues to the optimal diet, I think there are plenty of other sources of evidence to which we should give weight. Fortunately, all of these sources of insight seem to be consistent in supporting low-carb animal-food-rich diets — a result which is gratifying and should give us confidence. Low carb plans have helped people lose fat by reducing food reward from white flour and excess sugar and maybe linoleic acid. This is by accident as it happens that most of the “carbs” in our diet are coming in the form of manufactured and processed items that are simply not real food. Low carb does not work for most people via effects on blood sugar or insulin “locking away” fat. Insulin is necessary to store fat, but is not the main hormone regulating fat storage. That would be leptin. I agree with Kurt in rejecting what he calls the carbohydrate-insulin hypothesis of obesity, but I am uneasy at the confident assertion that “reducing food reward” is the mechanism by which excluding flour, sugar, and omega-6 fats helps people lose weight. Let me say first that there is no doubt that the brain has a food reward system that regulates food intake, and also an energy homeostasis system that regulates activity and thermogenesis, and that these systems are coupled. The brain is the coordinating organ of metabolic activity. And the brain’s food reward and energy homeostasis systems are altered in obesity. But the direction of causality is unclear. Is “reducing food reward” the best strategy against obesity, or is “maximizing food reward with nourishing food” the best strategy? Some data may illustrate what I mean. Here’s an investigation of how the food reward system in rats controls appetite to regulate protein and carbohydrate consumption. The data is from multiple studies and was collected by Simpson and Raubenheimer . Rats were given a chow consisting of protein and carbohydrate in varying proportions. 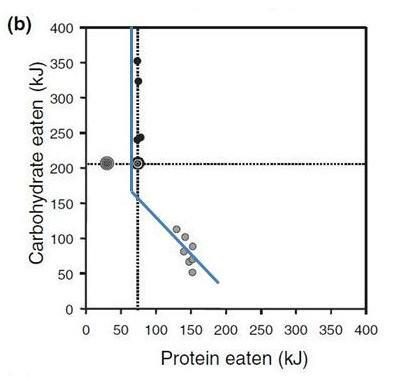 The figure below shows how much of the protein-carb chow they ate. I’ve drawn a kinked blue line to show what a “Perfect Health Diet” analysis would consider optimal. Protein needs consist of a fixed amount of protein, around 70 kJ, to meet structural needs, plus enough protein to make up any dietary glucose deficiency via gluconeogenesis. Glucose is preferable to protein as a fuel. Glucose needs in rats are in the vicinity of 180 kJ. When dietary glucose intake falls short of 180 kJ, rats eat extra protein; they seek to make carb+protein intake equal to 250 kJ so they can meet both their protein and carb needs, with gluconeogenesis translating the dietary protein supply into the body’s glucose utilization as necessary. When the chow is low-carb, the food reward system directs rats to eat until carb+protein intake is precisely 250 kJ – then they stop eating. When the chow is high-carb, the food reward system directs rats to eat until protein intake is precisely 70 kJ – then they stop eating. I interpret this to show that the food reward system evolved to optimize our health, and in healthy animals does an excellent job of getting us to eat in a way that achieves optimal health. Note that if the chow is high-carb, rats eat more total calories. Is this because their diet has “high food reward”? No, it is because it is malnourishing. It is protein deficient. Now, a diet of wheat, sugar, and omega-6 fats is malnourishing. There are any number of nutrients it is deficient in. So the food reward system ought to persuade people to eat more until they have obtained a sufficiency of all important nutrients, and rely on the energy homestasis system to dispose of the excess calories in one way or another. But if the energy homeostasis system fails to achieve this, then obesity may be the result. If this picture is correct, then what is the solution to obesity? Is it to eat a diet that is bland and low in food reward? I don’t think so; the food reward system evolved to optimize our health. Rather the diet that defeats obesity will be one that is efficiently nourishing and maximally satisfies the food reward system at the minimum possible caloric intake. A good test of these two strategies is the severely calorie (and nutrient) restricted diet. It would be hard to conceive of a diet lower in food reward than one with no food at all. Yet severe calorie restriction produces temporary weight loss followed by regain – often to even higher weights. This “yo-yo dieting” cycle may be repeated many times. I think this proves that at least some methods of “reducing food reward” – the malnourishing ones – are obesity-inducing. 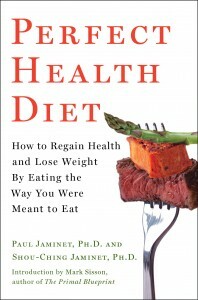 So I would phrase the goal of an anti-obesity diet as achieving satisfaction of the food reward system, rather than as reducing food reward; and would say that wheat, sugar, and seed oils are obesogenic because they fail to provide genuine food reward, and thus compel the acquisition of additional calories. Jimmy Moore is friends with the smartest people in the low-carb movement, so this discussion is sure to be interesting. I’m grateful that he’s persuaded people to comment on Shou-Ching’s and my ideas, and I’m eager to hear what Jimmy’s experts have to say. One thing I’m sure of, the discussion will help us understand the many open issues in low-carb science. It should be a lot of fun! Cordain L et al. Plant-animal subsistence ratios and macronutrient energy estimations in worldwide hunter-gatherer diets. 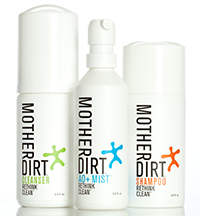 Am J Clin Nutr 2000 Mar;71(3):682-92. http://pmid.us/10702160. So far we’ve looked at serum cholesterol among Eskimos/Inuit (Serum Cholesterol Among the Eskimos and Inuit, July 1, 2011) and !Kung San bushmen (Serum Cholesterol Among African Hunter-Gatherers, July 5, 2011). The Inuit, who live in the Arctic and eat a high-fat low-carb diet, generally had serum TC over 200 mg/dl unless parasitic diseases were common and life expectancy was short. The !Kung San, who live in sub-Saharan Africa and eat more carbs, were below 160 mg/dl and ridden with parasitic diseases and short life expectancy. Genetic differences. Africans tend to have lower cholesterol than non-Africans, wherever they live. Is the difference genetic? Chris Masterjohn believes genetic differences might account for up to a 30 mg/dl difference in TC. Emily Deans suggests LDL receptor variants are the most important alleles. Dietary differences such as fat intake. For decades it was said that higher fat diets produce higher TC, and this was the favored explanation for variations in serum cholesterol. However, when these ideas were tested in clinical trials, diet-induced changes in TC were inconsistent. Infectious disease burden. Eukaryotic pathogens such as protozoa, worms, and fungi – ie, pathogens that have mitochondria and therefore can metabolize fat and ketones – are often able to take up human lipoproteins from blood and use their fats and cholesterol for their own purposes. This tends to lead to low TC in people with a high burden of parasites. Is parasite burden the key to hunter-gatherer cholesterol levels? Therefore, hunter-gatherer diets are healthy. So to conclude today’s post, I’ll review: Which of these four theses is supported by the data? There are a fairly large number of papers on cholesterol levels in Australian aborigines. Unfortunately, the vast majority are from journals, such as the Medical Journal of Australia and the Australian and New Zealand Journal of Medicine, to which I don’t have electronic access. To get even 10% of calories from animal fat, they had to eat a lot of grubs. So did this low-fat diet produce high or low cholesterol? This is right in line with the levels in Eskimos and Inuit, and in the minimum mortality range of 200 to 240 mg/dl. Australian aborigines were said to have a mean TC of 146 mg/dl (male) and 132 mg/dl (female) in Eaton et al . Australian aborigines were deleted from the list of hunter-gatherers with low cholesterol in a subsequent Cordain et al paper . I don’t know why this was, but I can say that at least some Australian aboriginal populations had TC over 200 mg/dl. 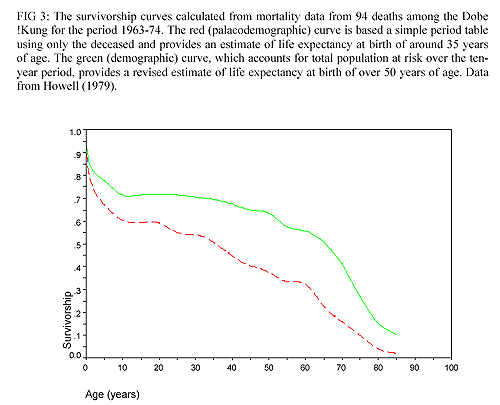 Health in Kitava was generally good, although life expectancy was only 45 years . Causes of death were infectious disease (notably malaria) and accidents such as drowning and falling from coconut trees. So we have another tropical, high-carb population with normal (200 to 240 mg/dl) serum cholesterol. New Zealand Maoris are probably genetically similar to Australian aborigines and Kitavans. I didn’t survey the literature on New Zealand Maoris. However, I did come across one paper  that led me to an interesting 1980 study of Maoris by Dr Robert Beaglehole . Mean serum cholesterol was 5.50 mmol/l (213 mg/dl) among women, 5.82 mmol/l (225 mg/dl) among men, for a population mean of 219 mg/dl. 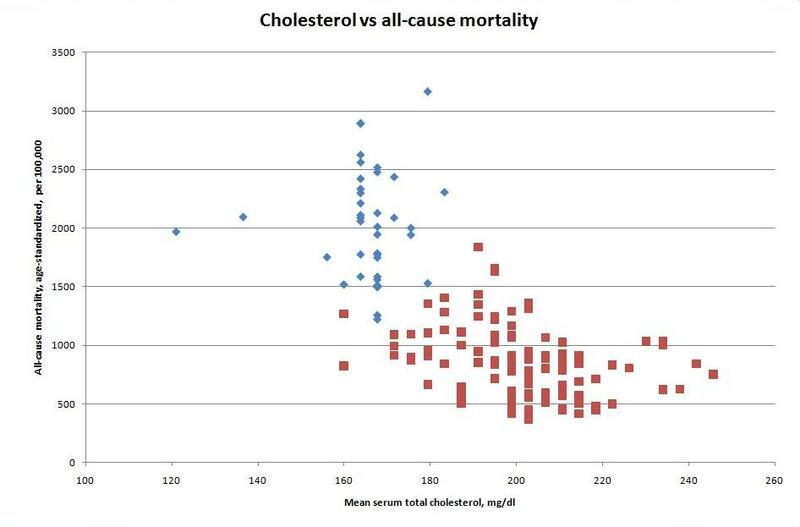 Dr Beaglehole found that mortality increased as serum cholesterol decreased. Mortality was 40% to 70% higher in Maoris with TC of 160 mg/dl than in Maoris with TC of 260 mg/dl. The association with cancer mortality was strongest: cancer mortality was 9.6% among the low-TC group (TC < 5.1 mmol/l = 197 mg/dl), 5.8% among the medium-TC group, and 3.5% among the high-TC group (TC > 5.8 mmol/l = 224 mg/dl). Coronary heart disease has never been found in Malaysian aborigines. We report the position regarding some of the risk factors usually associated with coronary heart disease in 73 adult aborigine men. Once again, we find that low serum cholesterol is associated with a high burden of eukaryotic pathogens. Another feature that this population shares with the !Kung San is small stature. Mean averaged 5’1” (155 cm) in height and averaged 105 lb (48 kg) in weight. Diet determines TC. Wrong. It looks like burden of parasites is the major determinant of serum cholesterol in hunter-gatherers and human populations globally. Low TC is healthy. Wrong. It is associated with high infectious burden, small stature, high mortality, and short lifespan. Wrong. Anthropological research has not consistently demonstrated low serum cholesterol and triglycerol levels from hunter-gatherers, regardless of whether the primary dietary source was animals (Eskimo/Inuit) or plants (Kitavans, Central Australian aborigines). Rather, those with high parasite burdens had low cholesterol, regardless of diet, and healthy populations without parasites had serum cholesterol over 200 mg/dl regardless of diet. Therefore, hunter-gatherer diets are healthy. True! Except insofar as dietary practices, such as the Eskimo practice of eating raw intestines from recently killed animals, predisposed them to picking up parasitic infections. Overall I think the data should dispose us to look toward infectious burden, rather than genetics or diet, as the primary determinant of serum cholesterol among hunter-gatherers. If genetic differences influence mean TC among hunter-gatherer populations, it is probably because of evolutionary adaptations to local pathogens, such as the heavy parasite burden in sub-Saharan Africa. Cordain L et al. The paradoxical nature of hunter-gatherer diets: meat-based, yet non-atherogenic. Eur J Clin Nutr. 2002 Mar;56 Suppl 1:S42-52. http://pmid.us/11965522. Schwartz CJ et al. Serum cholesterol and phospholipid levels of Australian aborigines. Aust J Exp Biol Med Sci. 1957 Oct;35(5):449-56. http://pmid.us/13499168. Full text: http://www.nature.com.ezp-prod1.hul.harvard.edu/icb/journal/v35/n5/pdf/icb195747a.pdf. Lindeberg S et al. Cardiovascular risk factors in a Melanesian population apparently free from stroke and ischaemic heart disease: the Kitava study. J Intern Med. 1994 Sep;236(3):331-40. http://pmid.us/8077891. Lindeberg S et al. Age relations of cardiovascular risk factors in a traditional Melanesian society: the Kitava Study. Am J Clin Nutr. 1997 Oct;66(4):845-52. http://pmid.us/9322559. Walker AR. Cholesterol and mortality rates. Br Med J. 1980 May 31;280(6227):1320. http://pmid.us/7388525. Beaglehole R et al. Cholesterol and mortality in New Zealand Maoris. Br Med J. 1980 Feb 2;280(6210):285-7. http://pmid.us/7357343. Free full text: http://www.ncbi.nlm.nih.gov/pmc/articles/PMC1600122/?tool=pubmed. Burns-Cox CJ et al. Risk factors and the absence of coronary heart disease in aborigines in West Malaysia. Br Heart J. 1972 Sep;34(9):953-8. http://pmid.us/4116420. We’re in the midst of a little diversion looking at the cholesterol levels of hunter-gatherers around the world. This investigation was precipitated by the surprising claim by some Paleo authorities that hunter-gatherers had much lower cholesterol levels than any modern human population (Did Hunter-Gatherers Have Low Serum Cholesterol?, Jun 28, 2011). We started by looking at Eskimos and Inuit (Serum Cholesterol Among the Eskimos and Inuit, July 1, 2011). We found that healthy Eskimo and Inuit groups seem to consistently have mean serum cholesterol between 200 and 230 mg/dl, with lower mean serum cholesterol levels found only in short-lived populations suffering from tuberculosis and parasite infections. Today we’ll look at the populations with the lowest reported serum cholesterol levels: African hunter-gatherers. Africans made up 3 of the 5 groups claimed to have low serum cholesterol in the original Eaton et al paper  and 4 of the 5 in the later Cordain et al paper . Before looking at African hunter-gatherers, I think it’s worthwhile to look at modern Africans and African-Americans. The 39 sub-Saharan African countries in O Primitivo’s cholesterol database have an average serum total cholesterol (TC) of 165.7 mg/dl (4.285 mmol/l). For comparison, the other 122 nations have an average serum TC of 201.1 mg/dl (5.20 mmol/l). When the 161 countries in the database are ranked by mortality, sub-Saharan African nations occupy all but three of places 123 through 161. The non-African nations with highest mortality are Laos (#130), Cambodia (#131), and Haiti (#137). Haiti’s population is 95% of African descent, by far the largest African population share in the Americas. The only sub-Saharan African nations ranking above #123 are the island nations of Cape Verde, Comoros, and Sao Tome and Principe. Sub-Saharan African TCs cluster around 165 mg/dl, while in the rest of the world varies much more widely but generally ranges between 170 and 240 mg/dl. The only countries outside sub-Saharan Africa with a mean TC below 170 mg/dl are Bangladesh and Tunisia. This table makes visibly clear the triumph of modern medicine: mean serum cholesterol levels have been heroically brought down from 222 mg/dl in 1960 to 204 mg/dl today. This data is useful, because African-Americans eat a diet similar to that of other Americans. They are also, by global standards, fairly healthy. All-cause mortality in 2005-7 in Contra Costa, California (a quick search failed to bring up numbers for the US as a whole) was 683.9 per 100,000 for whites and 1002.7 for blacks (Source). If we look above at O Primitivo’s data, a mortality of 1002.7 is lower than that of any sub-Saharan African nation and would suggest a TC around 195 mg/dl – right where African-Americans are today. White mortality of 683.9 would suggest a mean TC between 200 and 220 – right where white Americans are. If there is a genetic difference in Africans that lowers cholesterol, it’s not large – probably less than 10 mg/dl. Africans fit spot-on the cholesterol vs mortality curve established by non-African nations. So if there are genetic differences in Africans, they haven’t altered the mortality risk of low cholesterol levels. In any ethnicity or race, low serum cholesterol indicates impaired health – probably due to infections – and higher mortality. In interpreting the serum cholesterol of African hunter-gatherers, we should keep in mind this pattern. Low TC is probably only minimally a matter of genetics or diet. It’s primarily about infectious burden. Now let’s look at African hunter-gatherer populations. Unfortunately, there is a paucity of data in Pubmed. A search in Pubmed for “Hadza cholesterol” produces one paper . Unfortunately it dates from 1972 and electronic availability for that journal begins in 2001, so I was unable to read it. There are no papers in Pubmed searches for “pygmy cholesterol” or “pygmies cholesterol,” nor does “Congo cholesterol” return anything resembling a hunter-gatherer cholesterol study. According to Wikipedia (“Pygmy peoples”), “The best known pygmies are the Aka, Efé and Mbuti of central Africa.” However, “Aka cholesterol,” “Efé cholesterol,” and “Mbuti cholesterol” return no results either. Searching on all these terms, I was able to find only a few reports on cholesterol levels, not all of whom were eating the hunter-gatherer diet. Here’s a summary. Bersohn & Tobias 1966 123 mg/dl Unknown technique; reported by Truswell & Hansen ; farm bushmen were 145 mg/dl. These numbers are extraordinarily low for both TC and serum phospholipids. SIR,-We can add some more data to the values for serum lipids in 9 Kalahari bushmen which you reviewed in your annotation (Aug. 17, p. 395). Our findings confirm that these hunter-gatherers have among the lowest serum-cholesterol levels in the world. In October, 1967, and again in April-May this year we joined the Harvard social anthropologists De Vore and Lee to investigate the medical and nutritional state of the !Kung bushmen they have been studying in the northern Kalahari, Botswana. We collected venous blood from some of these bushmen. Sera were allowed to separate by clot-retraction and decanted into tubes containing a little dried methiolate solution. The sealed serum-tubes were kept in a portable gas refrigerator while we were in the desert and were carried with us in a cool box, with ice-packs, when we travelled back to Cape Town by jeep and plane. Cholesterol was measured by the standard Abell method. The results of 67 determinations in 54 bushmen are shown in the accompanying table. The mean serum-cholesterol levels were between 100 and 121 mg. per 100 ml. The extreme range in individual bushmen was from 57 to 178 mg. per 100 ml. A Bantu control serum collected in the desert on our first visit contained 166 mg. cholesterol per 100 ml. Our own serum-cholesterol levels, taken on the second visit, were 184 and 219 mg. per 100 ml…. Our values agree very well with the mean serum-cholesterol level of 121 mg. per 100 ml. reported by Bersohn and Tobias [Tobias, P. V. in The Biology of Human Adaptability (edited by P. T. Baker and J. S. Weiner); p. 190. Oxford, 1966.] in nomadic bushmen in the central Kalahari. These workers found that farm bushmen had rather high serum-cholesterol levels, averaging 145 mg. per 100 ml. The lower concentrations found by Miller et al., averaging 77 mg. per 100 ml., might have resulted from the more difficult quantitative method they used, involving recovery from thin-layer chromatographic plates or, as they suggest, from harsher conditions in the southern Kalahari…. It looks like we have 3 reported measurements in San hunter-gatherers: 77 mg/dl by Miller et al, about 110 mg/dl from Truswell and Hansen, and 121 mg/dl from Tobias. 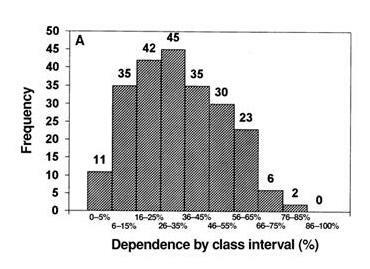 All are remarkably low, far below the levels found in any contemporary population. We concluded from the study of Eskimos by Corcoran and Rabinowitch 1937 (Serum Cholesterol Among the Eskimos and Inuit, July 1) that stale samples preserved for a long journey and then measured by the method of Abell can produce false, low cholesterol readings. That may have happened also in the case of the three San investigators. Heparinized sample tubes, deep-frozen samples, measurement within two weeks, and enzymatic measurement in modern kits – none of these were features of the earlier lipid measurements on !Kung San hunter-gatherers. The change from their traditional lifestyle has resulted in a high incidence of malnutrition (9), especially reduced fat and protein stores (70% and 75%, respectively). The severe malnutrition is primarily responsible for the predominance of infectious disease in Bushmen, especially tuberculosis (9). One fact that was extremely clear was the high incidence of alcoholism. 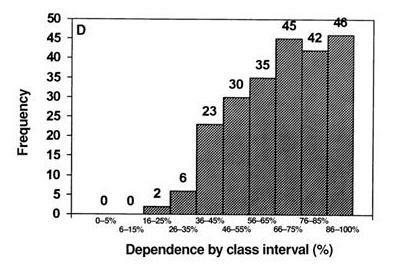 A 1987 study by van der Westhuyzen et al from the Journal of Tropical Medicine and Hygiene  corroborates the picture provided by Tichelaar et al. They studied a settled population of !Kung San in Namibia. They confirm that alcohol abuse and malnutrition (including thiamin deficiency) were widespread. Mean serum cholesterol was 4.1 mmol/l (158 mg/dl) . In 1969 we carried out a study of iron, folate, and vitamin B12 nutrition in a group of!Kung living a hunter-gatherer existence in the Kalahari desert in northwestern Botswana (1). We now report on a study of a comparable group of !Kung who have followed a settled way of life in Chum!kwe, Namibia, some 40 km west of the area ofthe original study (Fig 1). This group, who are genetically and linguistically identical (2) to the subjects of the previous study (1) have resided at Chum!kwe for at least 15 yr. At Chum!kwe they underwent slow change during the 1960’s and now constitute a settled population which has ceased to hunt game or gather wild vegetation. The men undertake casual employment and food is purchased from local stores, or provided by Government agencies. The diet consists predominantly of maize, supplemented with small and irregular quantities of meat and vegetables, a diet which resembles that of the Black peoples inhabiting the rural areas ofSouthern Africa. The subjects comprised a group of !Kung San (Bushmen) who, until relatively recently, were hunter-gatherers inhabiting the northwestern Kalahari (Fig 1). All the subjects now reside at Chum!kwe in Namibia 40 km to the west, where they have resided for at least 15 yr…. The diet of the San has changed considerably in the period since the previous study in 1969 (1). The staple food, commercial maize meal, is eaten as a porridge or fermented with cane sugar to make beer. Frequently, this porridge or beer is the only food consumed in a day. This basic diet is supplemented irregularly with canned fruit, vegetables, and meat. One family cultivated a few melons and squashes, but pastoralism is practised on such a small scale as to be negligible. There appears to be a high consumption of alcoholic beverages by the community, and beer, either homebrewed or commercial, is consumed by all members of the society, even very young children. The former is brewed in plastic containers. Marshall and Ritchie (3) have reported on the economy of the Chum!kwe !Kung as they found it in 1981 and they have compared it with that existing in 1958 when the people still followed a hunting and gathering way of life. This latter way of life is described by Marshall (2). In 1981 the bulk of their dietary needs were met by purchases from the local store: made up of coffee, flour, sugar, maize meal, and canned foods; consisting of maize beer, and a small amount (<1%) of liquor. A smaller proportion of their diet came from Government agencies, and very little animal husbandary, gardening, and the gathering of wild fruits and vegetables. A negligible part of their diet came from hunting activities. When one considers that in 1958, much of these people’s dietary intake came from the hunting of wild animals it will be appreciated that major changes have occurred…. Until 1980 !Kung inhabitants of Chum!kwe had lived in traditional settlements, well spaced from one another. In that year the government established three housing schemes or townships, consisting of 23, 18, and 14 single roomed houses built from cinder blocks with communal pit type lavatories and bathhouse and a single water tap situated in the centre of the township. The people spend most of their time outside the houses and, in fact, do their cooking on, and sleep around, a fire which they light in front of the house, facing the central courtyard. The lavatories are never used because the inhabitants walk off into the surrounding bush to relieve themselves. Litter and refuse accumulate in these townships. We have observed that many of the traditional settlements in Chum!kwe moved twice, some moved three times, between August 1980 and December 1981. As a result, those that do move tend to be cleaner than the Government housing projects…. The present study has shown that the change in lifestyle undergone by the San between 1969 and 1981 has been accompanied by a deterioration in their previously excellent iron and folate nutrition and in an increase in the incidence of anemia, most of which is almost certainly nutritional in origin. Alcoholism, previously unknown, has become a major problem. So the transition to settled life occurred in the 1960s. The !Kung San now depend on government support. Their diet is corn porridge, corn beer, wheat and sugar. They are malnourished and show signs of liver damage. Their settlements are filthy, so much so that they don’t use the lavatories; when a settlement becomes intolerable they create a new one; some communities moved three times in 16 months. How shall we interpret this? First, let’s consider the recently acquired numbers of 143 and 158 mg/dl, which used modern measurement techniques on well-preserved samples and should be trustworthy. These numbers are precisely what we would expect from an infection-ridden African population with short (~50 year) lifespan. Most sub-Saharan African countries with high infectious disease burdens and shortened lifespan have mean population serum cholesterol close to this. For instance, Mauritania has mean serum cholesterol of 157 mg/dl. Life expectancy in Mauritania is 61 years. Nigeria has mean serum cholesterol of 136.9 mg/dl and a life expectancy of 47.6 years. Cameroon has mean serum cholesterol of 120.9 mg/dl – the lowest in the world – and a life expectancy of 54 years. Infectious disease risk is rated high in Mauritania and very high in Nigeria and Cameroon. If San hunter-gatherers were healthier than the settled !Kung San, then their serum TC should have been higher than the settled !Kung San TC of 143 to 158 mg/dl. In this case the 1960s measurements would have to be in error. On the other hand, if San hunter-gatherers were sicker than the settled San, then a TC of 120 – similar to that of modern Cameroon – or even lower becomes plausible. I don’t think either possibility can be ruled out. The hunter-gatherers may have had poor health. Although anthropologists consider malnutrition more prevalent in the settled !Kung San, their data is not sufficient to show that life expectancy or infectious disease burden became worse when the !Kung San gave up their hunter-gatherer life. And recall also the statement by Fernandes-Costa et al: “neither do the San wish to return to the past.”  The hunter-gatherer lifestyle seems to have been no idyll. The data may have been wrong. If the early measurements performed on stale, poorly refrigerated samples with pre-modern techniques underestimated !Kung San hunter-gatherer TC by 33%, a plausible estimate for the amount by which Corcoran & Rabinowitch 1937 may have underestimated Eskimo TC, then it would bring the measurements of Truswell & Hansen  and Bersohn & Tobias right in line with modern-day African TCs. The !Kung San provide some support to the claims in Eaton et al  that hunter-gatherers had low serum cholesterol. However, the data offers no support to the thesis, argued vigorously in O’Keefe et al , that low serum cholesterol levels are healthy. Rather, the evidence from Africa is that low serum cholesterol levels reflect a high burden of infectious disease, especially parasitic disease, and are invariably associated with shortened lifespan. African hunter-gatherer serum cholesterol levels were probably below 160 mg/dl, maybe well below, and their low cholesterol levels marked a lifespan that was little more than 50 years. Barnicot NA et al. Blood pressure and serum cholesterol in the Hadza of Tanzania. Hum Biol. 1972 Feb;44(1):87-116. http://pmid.us/5024023. Fernandes-Costa FJ et al. Transition from a hunter-gatherer to a settled lifestyle in the !Kung San: effect on iron, folate, and vitamin B12 nutrition. Am J Clin Nutr. 1984 Dec;40(6):1295-303. http://pmid.us/6150635. Miller K et al. Lipid values in Kalahari bushmen. Arch Intern Med. 1968 May;121(5):414-7. http://pmid.us/5645718. Truswell AS, Hansen JD. Serum-lipids in bushmen. Lancet. 1968 Sep 21;2(7569):684. http://pmid.us/4175517. Tichelaar HY et al. Plasma lipids and fatty acids in urbanized Bushmen, Hereros and Kavangos of southern Africa (Namibia). Lipids. 1992 Sep;27(9):729-32. http://pmid.us/1487973. Joffe BI et al. Metabolic responses to oral glucose in the Kalahari Bushmen. Br Med J. 1971 Oct 23;4(5781):206-8. http://pmid.us/5115571.